Good news for Grace and Frankie fans! According to SpoilerTV, Netflix has renewed the TV show for a sixth season. 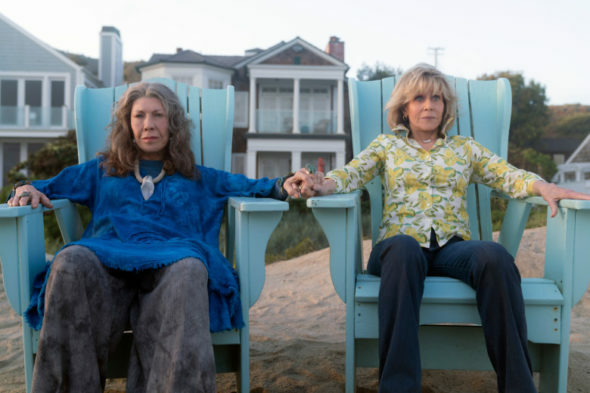 Although Netflix has not announced an official renewal for Grace and Frankie, SpoilerTV says the comedy will begin shooting its sixth season in December. Season five is slated to premiere in 2019. What do you think? Are you a fan of Grace and Frankie? Are you excited for the upcoming seasons? I love Grace and Frankie,. I think it’s the best series on TV right now. I watched Lily way back when she played the telephone opperator: with two ringy dingies. And she is a great Frankie character. Jane is Jane,, what can I say. Please keep this series going for at lest a couple more seasons. Looking forward to season 6 of Grace & Frankie.. I really enjoy this program! Love Lilly Tomlin ! Love love love this show!! Looking forward to season 6!! !